Crown Irrigation Investments has pledged $165,000 to scope irrigation scheme options in Northland. Northland Regional Council is also investing in this latest scoping exercise, which will focus on potential irrigation options in the mid North and Kaipara areas. Currently Northland is home to just two 1980s-built irrigation schemes – one operating at capacity in Kerikeri and the other in Maungatapere, near Whangarei – both of which made significant contributions to their local economy. Severe droughts in 2010, 2011 and 2013 prompted the Northland Regional Council and Ministry for Primary Industries last year to contribute $75,000 each for the ‘Northland Strategic Irrigation Infrastructure Study’, to in order to identify further irrigation capacity. The findings of that study found that an additional 92,000 hectares of Northland’s land could potentially be irrigated, which would make a significant contribution to its regional economy. 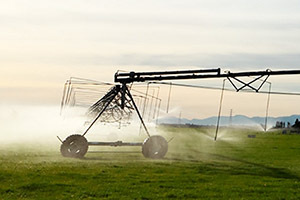 A separate report produced by the New Zealand Institute of Economic Research (NZIER) in late 2014 supports this finding, noting that irrigation contributes $2.2 billion to the national economy, with the potential to grow even further. “Modern irrigation infrastructure has the potential to improve the environmental, social and recreational outcomes from the use and management of our water, within a strong regulatory framework”, said Primary Industries Minister Nathan Guy.